Fairway Forest at Sapphire Valley offers 5,700 acres of beauty at an elevation of 3,100 feet. Amenities include two outdoor pools, a lush park with picnic area, an 18-hole PGA golf course, eight clay and two hard-surface tennis courts, and a health club with an indoor pool, whirlpool, and exercise equipment. Hiking, fishing, miniature golf and canoeing are other popular on-site activities. Skiing is available mid-December through February, weather permitting. The décor of every unit has been carefully chosen to coordinate with, and enhance the natural beauty of the surrounding vistas, which can be enjoyed from your window. 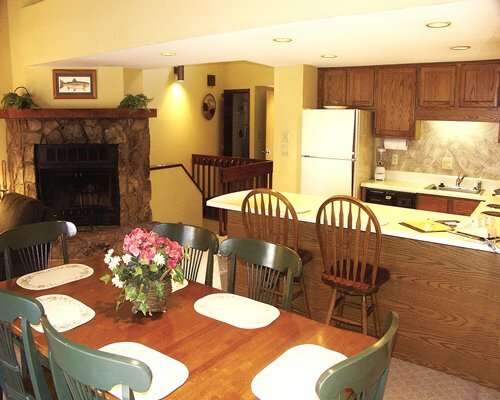 Every unit is roomy, comfortable and clean, boasting a crackling fireplace, whirlpool/hot tub, full kitchen (including dishwasher), a laundry with washer and dryer and much more to make your stay a relaxing and memorable experience. 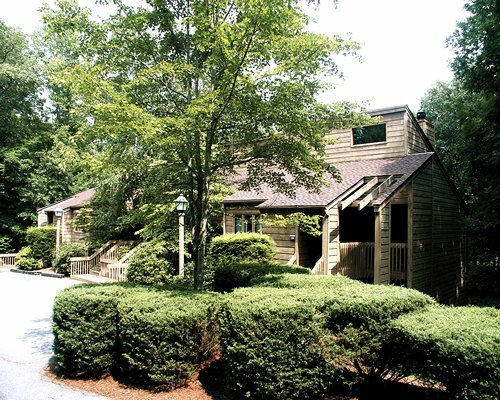 Fairway Forest at Sapphire Valley is perched on the side of a wooded mountain in the southernmost part of the majestic and historic Blue Ridge Mountains. The Blue Ridge contains the highest mountains in eastern North America. About 125 peaks exceed 5,000 feet (1,500 m) in elevation, and dozens exceed 6,000 feet (1,800 m); by comparison, only New Hampshire's Mt. Washington rises above 6,000 feet (1,800 m) in the northern portion of the Appalachian chain. The resort is centrally located near a variety of restaurants and scenic towns with great shopping and seasonal activities. The nearest commercial airport is in Asheville, about 45 miles away, a 1 hour and 15 minute drive due to mountain roads. From the airport, take NC 280 to Brevard and then follow US 64 west for about 25 miles to Sapphire Valley. From I-26 East/South, take US 64 west, exit at Hendersonville, then drive about 50 miles to the resort. **From Atlanta take I-85 N to the GA/SC state line. Cross Lake Hartwell and take exit #1 to Hwy 11. Take Hwy 11 to Hwy 130 which will run into Hwy 281 at the NC state line. At the intersection of Hwy 281 & Hwy 64 turn left onto Hwy 64. The resort is approximately 10 minutes on the right. Look for the Sapphire Management Co. sign. "Housekeeping fee for all RCI points reservations: There may be a fee of 65.00 U.S. dollars for 1 Bedroom units, per stay. Cash or Credit is accepted." The Fee is per unit and applies to stays of less than 7 nights. The Fee is per unit and applies to stay of less than 7 nights. Resort amenities fee is 19.95 U.S. dollars. Cash or Credit is accepted. The fee (plus tax) is per day and per unit.